www.svp.ie has been constructed to be as accessible as possible, and the Society of St Vincent de Paul is continually striving to improve accessibility to the site. 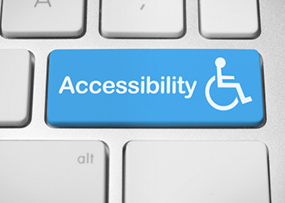 Accessibility: SVP aims to maintain every page of our site at WAI AA compliance level. The size of the font can be increased using the View menu in Internet Explorer and selecting the text size option.